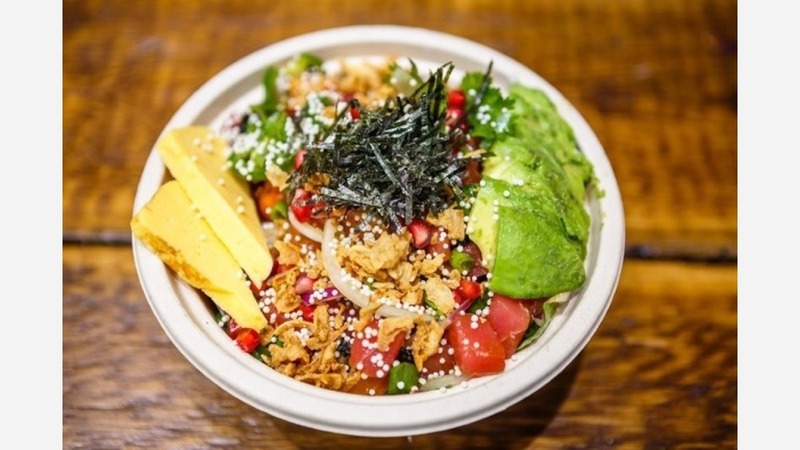 If you're craving fresh fish, sweet and savory sauces and crisp vegetables, you're in luck: we've found the freshest New York City poke joints. Here are the newest places to check out the next time you're looking to fill up on the trendy fare. 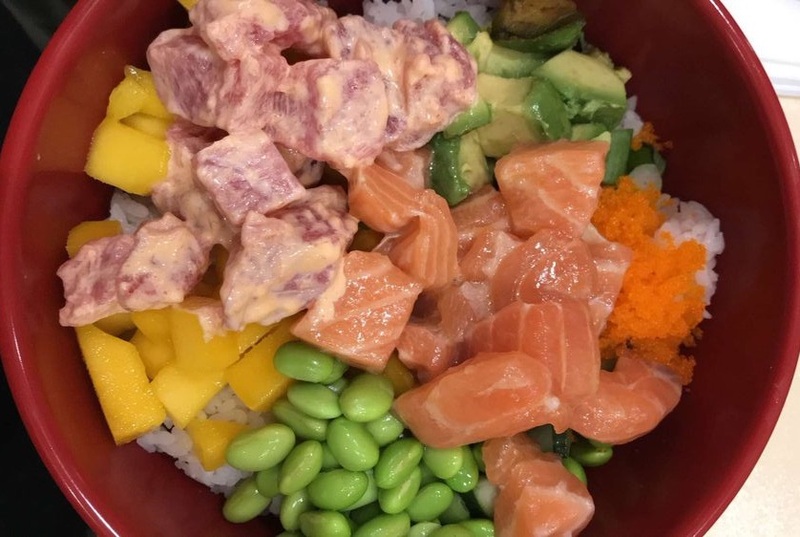 The newly opened Hawaii Poke Bowl is the second outpost of a popular Staten Island poke shop and offers bubble tea along with bowls of the Hawaiian fish salad. As with many of the fast-casual poke joints popping up lately, diners customize their own bowls by choosing a base of brown rice, sushi rice, greens or zucchini noodles, then seafood-heavy proteins and toppings, followed by a sauce like the sweet unagi or wasabi aioli. At Hawaii Poke Bowl, however, customers can also accompany the meal with a bubble tea, such as the pearl milk tea. Hawaii Poke Bowl's current Yelp rating of 3.5 stars out of just two reviews indicates the newcomer is finding its way, but it's still early days. Yelper Bobby I., who was the first to review the eatery on May 11, wrote, "If you're expecting super fancy it is not, but it's unique for the neighborhood and food and drinks were great." But Jenny N. said, "For the price they should give more shrimp. The yuzu sauce didn't really go too well with this poke." Hawaii Poke Bowl is open from 11 a.m.-9 p.m. daily. 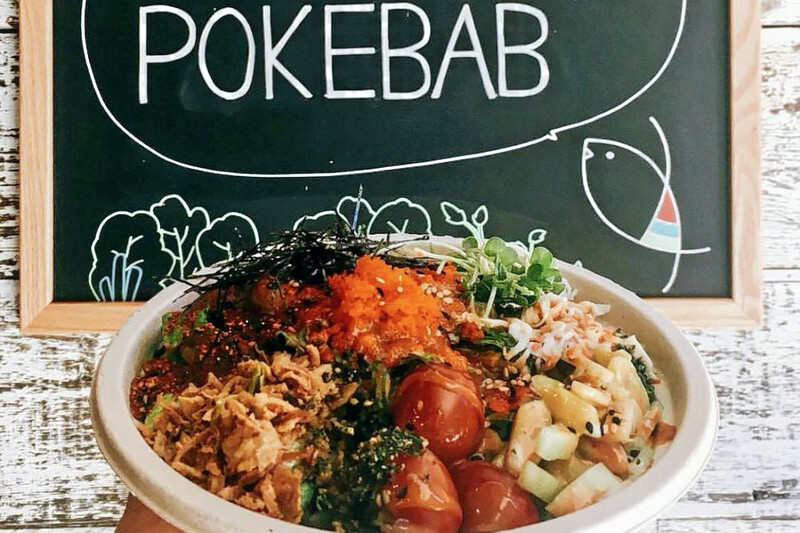 Over in the Financial District you'll find the new Pokebab, the second Manhattan outpost for the Brooklyn-based poke joint. Pokebab is off to a strong start with a four-star rating out of 16 reviews on Yelp. 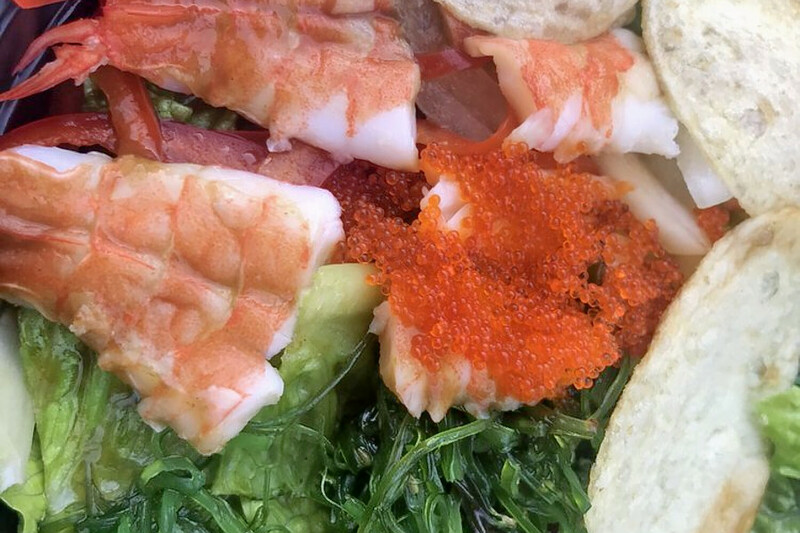 Yelper Neha M., who reviewed Pokebab on May 11, wrote, "I opted to pay extra to get macadamia nuts as my crunch because I have never seen that before and macadamia nuts are delicious! This was a smart decision. Is it weird to say I would come back to this spot just because they have this as an option?" "I've tried maybe four other options in the area and I will say that their options seem broader than their competitors," notedCourtney R., who was less enthusiastic about the price. "Basically, it's good but not $13 every day good." Let's Poke is a Hawaiian spot, offering poke and fusion sushi. 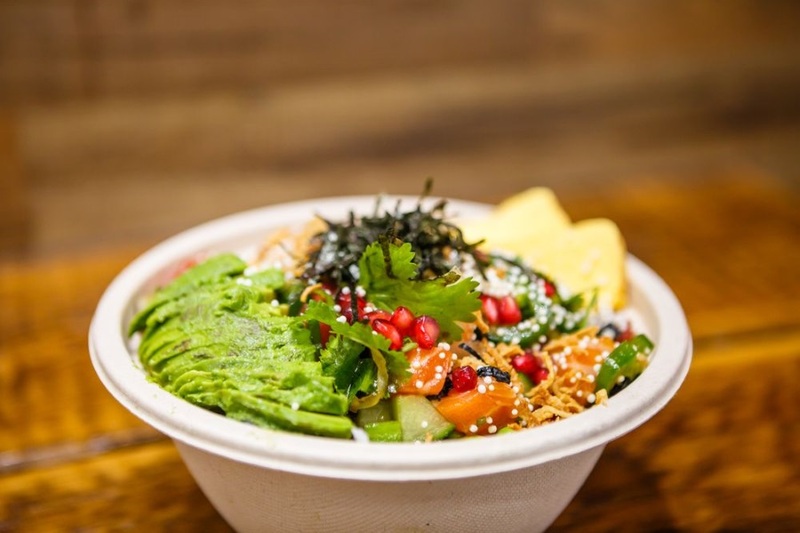 Located at 555 Eighth Ave. in the Garment District, it distinguishes itself with touch-screen ordering for its signature and customizable bowls. Diners can choose from an array of preset poke bowl options like the Hell's Kitchen, with tuna, salmon, scallops, scallions, mango, onion crisps, Hawaiian ponzu, crab salad and tobiko; or the vegetarian Tofu-Licious, featuring sesame ginger tofu, avocado and an array of other veggies. Let's Poke currently holds four stars out of 18 reviews on Yelp, indicating a positive response from users. Christine A. praised the service and noted, "Space was nice and clean and everything looked brand spanking new. Space is mostly modern white chic with a hint of wood on one wall and a jutted out wall with some painting adornments to make it look aged with metal accents." However, Yelper Glenn C. wrote, "Five dollar bowls appear to have been a promotion solely. The prices here are now comparable to some of the other places in the city if not a bit more for some of the extras." Let's Poke is open from 11 a.m.-9 p.m. daily. Then there's Kahuna Wave, a Filipino-Hawaiian breakfast and lunch spot at 43 Clinton St. (between Stanton and Rivington streets) on the Lower East Side. While this new cafe specializes in customizable poke bowls, the menu also features Filipino-inspired bowls and sandwiches with an egg and lardons of sweet cured pork belly called tocino. With a 4.5-star rating out of 13 reviews on Yelp, Kahuna Wave has been surfing a swell of positive attention. "Kahuna Wave has Filipino tocino that is spot on!" wrote Yelper Allan M. "The pork tocino bowl's combination of uniquely marinated meat with fried rice and eggs, minced garlic and hidden gems of halved grape tomatoes tucked away just under the eggs makes it easy to enjoy eating here." "The staff is so accommodating and extremely helpful, especially if you're new to the poke world," Jillian H. said. "The rice is warm and the fish is fresh. I'm perfectly satisfied every time I eat here."